A Train Full of Startups, Year 4! I work on 20Skaters, ThreeFortyNine, Ontario Startup Train and a few others. My vanity site is brydon.me. Tickets are now on sale for our 4th instance of the Ontario Startup Train. What’s a Startup Train? Basically we charter our own private train cars with VIA, including our own bar car. We fill them with 120+ startups, funders and entrepreneurs. After enjoying a first class meal service, we break into some one on one mentoring and networking while enjoying drinks. We are likely going to sellout well in advance again this year, grab your tickets now! Trust me, regardless of where you’re departing from, you’re going to want to connect through Toronto and travel to International Startup Festival with us! Last night we hosted our 25th DemoCampGuelph event here in Guelph. The weather did it’s best to slow us down but we still ended up with a full house. Our invited speaker Ben Yoskovitz didn’t fair as well. After starting the drive from Toronto, he quickly made the right decision to turn back. We’ll get Ben out to our next event. With no invited speaker, we improvised and hosted another founder panel. Sitting on our panel last night was Jim Estill, Steve Holub and John Mammoliti. We all had an opportunity to ask questions and pick their brains about getting started, what you need, what you don’t need, finding mentors and first customers and more. We then jumped into a great night of demo’s including an unusual amount of DemoCampGuelph alumni. The Crowie award for crowd favourite demo of the night went to Owen Goss from Milkbag Games for his new game Photobomb. It’s always humbling to host these events and see what a strong community we have in Guelph and surrounding area. Thanks to everyone who braved the weather and joined us last night. We’ll see you next year at #26! We’re hosting our 25th DemoCampGuelph next week. For those unfamiliar, it’s a highly social event where about six folks from our community will have the opportunity to demo some technology to the crowd. It may be something they’re working on or just a cool project they want to share. 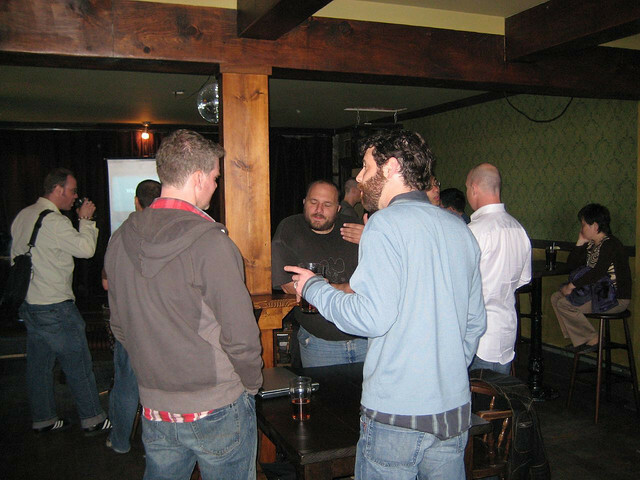 It’s a very casual event that is a great way to meet some other folks in our local tech scene. RSVP now if you’re joining us on Wed Nov 19th. We’ll start the evening off with our invited speaker. Most folks in the Canadian startup scene have heard of Ben Yoskovitz. They likely know him from his days helping to shape and grow the Montreal startup scene, including his role in the incubator Year One Labs. They’re surely heard about his recent tour of duty with GoInstant in Halifax and his new role at VarageSale in Toronto. What they may not know is that Ben was born and bred right here in the Royal City. So it’s a welcome home of sorts. We’ll then jump into our demo’s for the evening. After our demo’s, we have live local music with AJ Johnson from Cuff the Duke and The Oddyears. Please register if you’re able to join us. You do NOT have to demo to attend but if you’d like a demo spot, please submit your application asap! Long time no speak. We took the fall off but now that the NHL is back we figured it’s time to get back to it. I have a great story to share about this summer’s soldout Startup Train. End of day, it sums up what our train is attempting to do. Last summer, in speaking to the folks at Shopify about sponsoring the train they mentioned that they’d like to sponsor some tickets for startups to attend. They purchased two tickets on our train which we gave away to two local startups. One of those startups decided to pitch at the conference. By the time the dust settled and the conference was handing out their prizes, Susie Pan from Blynk had walked away with their top prize of $100K towards her startup. Talk about ROI!! So, no the Startup Train didn’t exactly win $100K but it kinda sorta feels like we did. Honorable mention to another Startup Train company Redtree Robotics who won the FounderFuel Fall 2014 Cohort award. Free Tickets on Ontario @StartupTrain! 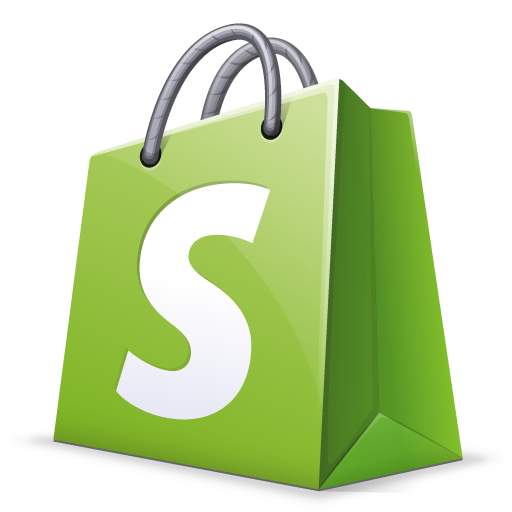 Thanks to our sponsor Shopify, we’re giving away…. Two free startup tickets on this July’s Startup Train. These tickets include your first class travel on the Startup Train to Montreal and full access to the International Startup Festival. You will only need a place to stay and a way home after the conference. PS…This year’s train is almost soldout, and could sellout this week before this contest ends. If you can afford a ticket and want to be on the train, you may not wait until next week. These tickets are intended for ‘starving startups’, who otherwise couldn’t afford the trip. If you’ve already purchased a ticket on the train, or to startup festival, then you’re ineligible. The winners will be selected at random from all entries. Contest closes Monday June 23rd at 5pm. To qualify, you must post a meaningful answer for why you should attend. The response must be posted to twitter and include “@startuptrain” in the post. Why Are You On The Startup Train? We tried something new for last year’s Startup Train aimed at helping our passenger’s avoid the boondoggles. When you attend startup conferences, you can’t simply show up and send a report to your boss after. Unfortunately you’re on your own now and you need to decide what you’re hunting for and go find it! To that end, we asked our Startup Train passengers to decide what their one metric of success was for coming on Startup Train. Then record and share it with the world. The goal being that by the time you board the train, we all know what you’re after and we can help you achieve it. To add some fuel to the fire, submitting a video also entered our passengers into a draw for $1500 in travel vouchers from our sponsor VIA Rail. As well, this year our friend’s at Vimeo will be giving away a pro account worth $199 to their favourite video. You can see some of our video’s from last year here. As this year’s passengers record their videos, we’ll share them on twitter with you. We’re well over halfway soldout for this year’s train and expect to sellout for the 3rd year so make sure to get your ticket shortly if you’re joining us! We Need Your Startup Founder Questions? For better or worse, we’re doing this Founder Interview deal tonight at DemoCampGuelph. The event starts at 6:30pm in downtown Guelph at The Ebar. We’ll have three startup founders who are at various stages of startup’iness. What do you want to ask them?? Post your questions to the twitterz today and we’ll do our best to work them in. Just click this link, then add your question after the “my founder question @demoCampGuelph…” part. We’ll watch and gather them today and do our best to incorporate them this evening. At previous DemoCampGuelph events, we’ve had some awesome invited speakers. Yes, some name dropping here…Rob Hyndman, Mike Litt, Tara Hunt, Mike McDerment, Jay Goldman and many more have made the trek into the heart of Guelph to speak at our wee event. We’ve been fortunate to hear from experienced heavyweights who’ve been there, done that. Clearly experience counts but what I’ve learned from our ThreeFortyNine Founders’ Club events is that we can learn as much, or more, from the folks we work with everyday. So, it’s time to mix things up for this week’s DemoCampGuelph. I’d like to introduce you to….. The Rookie: Someone who is chomping at the bit to launch their first startup. The Vet: Someone who is currently in the deep end and working away on a startup of their own. The Retired Vet: They’ve been there, done that and are taking a breather. Attend the event this Wed night, please register if you haven’t already. Apply for a demo spot. Volunteer to be interviewed. Email me directly, letting me know which of the above you are. Help us pick a theme for the interviews to focus on. Oh, and as always, share, share, share! Tell others that DemoCampGuelph is this Wednesday night and help us fill the room!! One week from today is our 24th rendering of DemoCampGuelph. It’s cool that this event is old enough to drink but we’re creeping up on 30 now. I’m not sure how I feel about that. If you haven’t been, here are a few key points about the event…. It’s free and you do NOT have to demo to attend. Ultimately this is a chance for all of us in the Guelph, and surrounding, tech scene to get together, meet, share a pint and maybe even work together. Having said that, you really should apply to demo! You do not have to demo something that you built, it can simply be something that you think the crowd needs to know about. 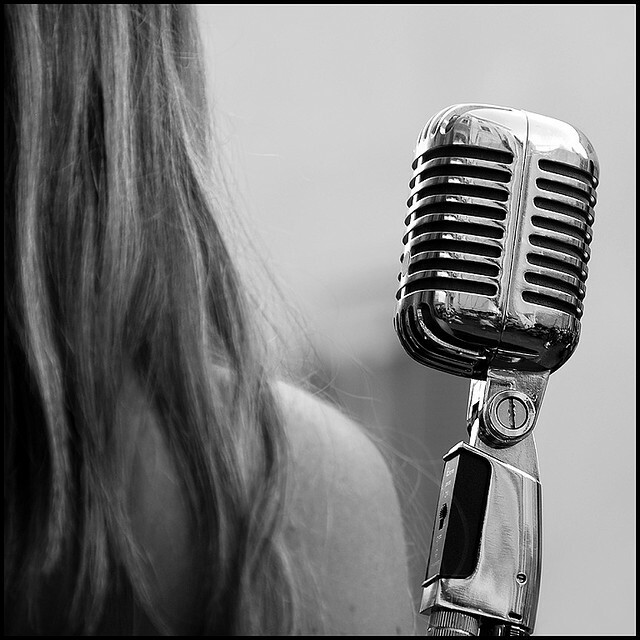 Live music is a big part of Guelph. 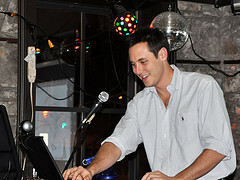 We do our best to have a local musician play some live music after we wrap up. If you have some friends who are not in tech, have them stop by just for the tunes! We’re very luck to have Nathan Coles playing for us next week. Head over to our Public Coworking Days page to join us!